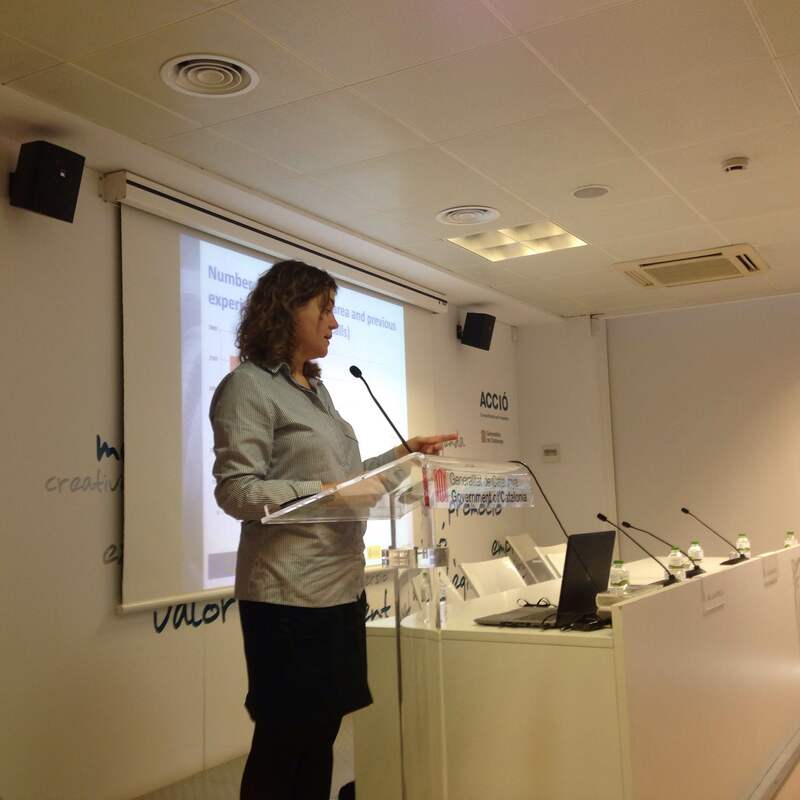 On February 20th, Transfer attended the info day "Reviewing of proposals for Horizon 2020: Climate Action & Energy (Call 2015)". Horizon 2020 is one of the several EU programmes financing R&D projects in which our company competes. The meeting was organized and conducted by Acció, the agency for enterprise competitiveness of the Generalitat de Catalunya, with the help of the Centre for Tecnical and Industrial Development (CDTI). The conference counted on the valuable presence of María Luisa Revilla and Lydia González, national contact points for the Energy and Climate Action offices based in Brussels. Given their curriculum and expertise, this conference crucial in order to receive recommendations and essential information on how to participate in the Horizon 2020 programme. Horizon 2020, funded by the European Union within the framework of promoting research and innovation, focuses on addressing major societal challenges, strengthening industrial leadership and scientific excellence in Europe for the period 2014-2020. The available budget amounts €76,880 M.
The session included a presentation from each contact point in which the theme, regulations and descriptions of particular calls within the work programs of "Secure, Clean and Energy Efficiency" and "Climate Action, Environment, Resource Efficiency and Raw Materials" were explained. The Transfer LBC team members were lucky enoughe to meet individually with Marina García Martínez and receive her feedback on a draft proposal that Transfer plans to submit in 2015 call. Even though it was a brief conversation, the consultation was very enlightening and motivating to go ahead with the projects this year. Here find attached the agenda and a photo from the event.